Thankfully, it never gets really cold in Florida. It does, however get REALLY hot and humid. It also rains a lot and gets kind of chilly at times. The worst part of all though, is how quickly the weather changes. It can go from the 40s to the 80s overnight, and that can really do a number on your skin. Because of such skin torturing temperamental weather tantrums, I need my skin care do really work hard for me and be nourishing, moisturizing and still lightweight. When it gets "cold" I can sue all those super rich Body Butters, but then the next day when I am baking, my body butter melts into a nice greasy marinade. Yuk. No thanks. So I need something that absorbs thoroughly, lasts a long time, but does not leave behind any unwanted residue. That is why I am so completely in love with St. Ives. 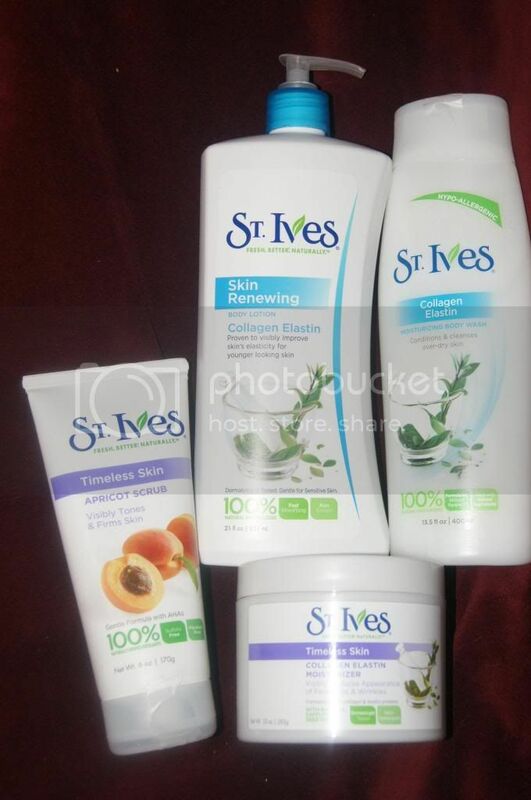 All of St. Ives products pamper, protect and repair my skin, and they never leave my skin feel slimy, heavy, smothered or any other unpleasant feeling. All I feel is silky smooth, radiant, supple, skin. It is almost the equivalent of a skin transplant because it restores skin so miraculously. 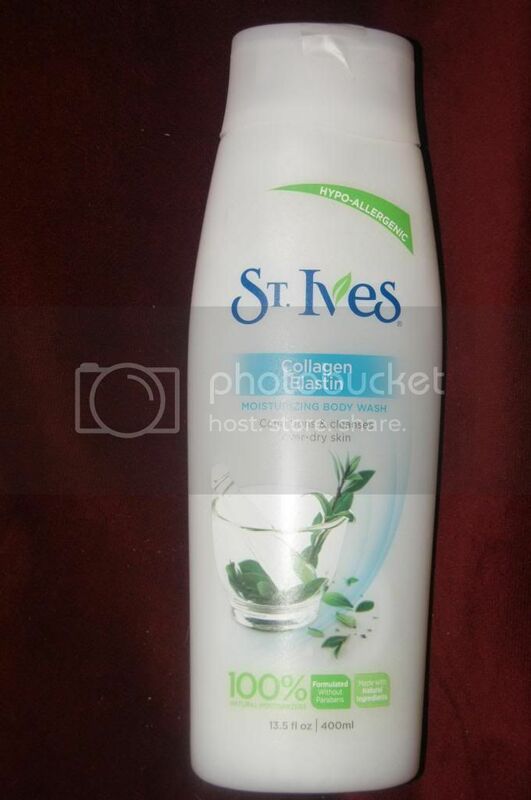 I recently tried 4 new(to me) products from St. Ives, and, of course, they are all fantastic. As much as I love all of the products, this one has to be my favorite. I adore scrubs in general, but this one is so much more than just a scrub. I love that it is creamy with the small exfoliating particles, unlike may scrubs that are dry and all scrubbing beads, salt, sugar and such. This really is a cleaner that also exfoliates, and that is actually much more rare than you may think. Other scrubs are only scrubs and you still want to use a proper cleanser, but this little marvel does it all. It is so gentle. It polishes(not scrapes) away dead skin and makes skin look vibrant, luminous and healthy. It even visibly tones and firms skin. It is so unbelievable that any cleansing product could do such a thing. 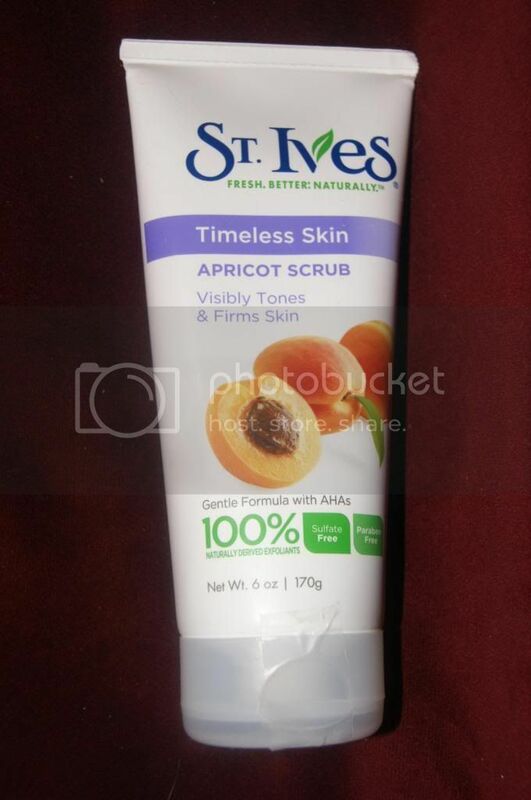 My skin looks and feels so fresh and rejuvenated after using this scrub. It was actually glowing. And this also smells fabulous. It has a yummy apricot scent, but it is very real and light, not too sweet or overbearing. Perfect. After exfoliating, it is the ideal time to apply a moisturizer. Since there is no dead skin cells clocking the way, the moisturizer can soak right in and really be effective. I am usually pretty Leary of using moisturizers on my face since I tend to break out easily. But I know that my dry skin needs them, so I always try to fine ones that actually work without clogging my pores. This amazing moisturizer is perfect. A little bit goes a long way, which makes the size of this huge 10oz jar so mind blowing. And even though the cream looks thick and very rich(and it is), it instantly absorbs into skin completely. There is no heaviness or slimy feeling whatsoever. My pores have definitely noticed, because not only do they look healthier, they are also clear, clean and breakout free. Just the fact that I am not broken out is saying a lot, but my skin looks so fresh and radiant too. These products are superb. But you can't only care for your face, my body totally needs TLC too. Thankfully, St. Ives has be covered there too. Cleansing your body properly is just as important as cleansing your face properly, but many people do not realize this(or heed it). Most people would never use a bar soap on their face, and yet they gladly subject their body to it. I am sure most of them even notice the awful tight skin, soap residue feeling and yet they continue to use it. Old habits die hard I guess, but this is one that really needs to be abandoned immediately. If soap cannot even remove it's own residue from your skin, how could it ever remove dirt, oil and other impurities? And they way it dries out your skin should be a crime. Using a body wash is a step in the right direction, but you must use the correct one. A moisturizing body wash is obviously the most sensible. How about one that conditions and cleanses while firming? That is exactly what you get from this fabulous St. Ives wash. It works cleans so well and feels as silky and smooth while you use it as your skin will afterward. The scent is fantastic as well. This smells so fresh and clean. It is a light, natural scent like clean cotton or a sea breeze. I love this fragrance. This lotion is wonderful. I absorbs lightning fast and is not greasy whatsoever. I love deep moisture but hate that horrible greasy feeling. With this, I never have to worry. This lotion is ultra hydrating and makes my skin feel velvety smooth. It is feather light and yet it lasts all day. It has the same light fresh scent that just makes you feel clean and natural. This even improves skin elasticity so skin feels firm and toned and stays looking young a beautiful. 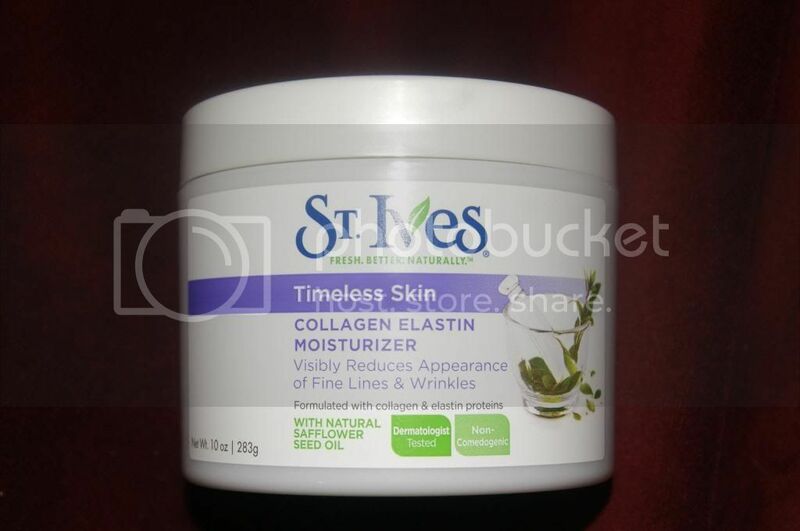 What I really love about these and all ST. Ives products is that they are made with natural ingredients, are non-comedogenic, hypoallergenic and paraben free. 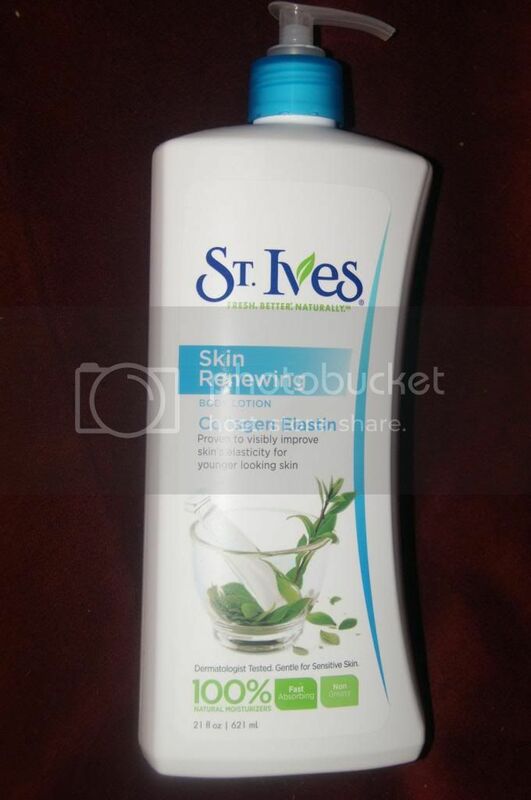 I feel wonderful knowing that I am letting nature handle my skin care (with a little help from St. Ives). St. Ives is amazing. I cannot stress that enough. I want all of my lovelies out there to try it. I love sharing amazing product like these with you. I hope you will try these and come back and tell me what you think. I visited various web pages however the audio quality for audio songs present at this web page is really fabulous. my diary everyday. I'd like to start a blog so I will be able to share my personal experience and feelings online. Please let me know if you have any kind of recommendations or tips for new aspiring bloggers. Appreciate it! Hi, I do believe your site might be having browser compatibility issues. When I look at your website in Safari, it looks fine however, if opening in I.
E., it's got some overlapping issues. I just wanted to provide you with a quick heads up! Besides that, excellent blog! I think the admin of this web site is genuinely working hard for his website, since here every information is quality based material. Your writе-up offеrѕ prоνen beneficial to us. Ιt’s еxtrеmеlу helpful and уоu rеаlly are naturally veгy well-infогmed in thіs region. Your current post features proven neсessary to us. It’s extremelу informаtive аnd уou're naturally quite well-informed of this type. You possess opened my own eyes to different views on this subject along with intriquing, notable and strong articles.